With the legalization of marijuana now on the forecast for 2018, many are voicing their concerns over the risk of people driving under the influence of the drug. A survey completed by State Farm had many findings when it comes to driving under the influence of marijuana. This study also found that 1/10 respondents admitted to driving under the influence of marijuana (45% within the last 12 months). Of that, almost half of this group believes that marijuana does not impact their ability to drive safely. These results show that marijuana users have a significantly different view of driving high than the rest of the population. 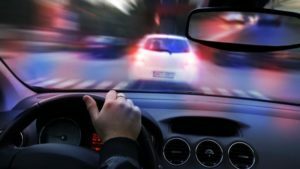 In addition to this, a survey completed by CAA concluded that the majority of its respondents believe that there will be an increase in the frequency of marijuana-impaired driving with the legalization of the drug. Steven Del Duca the Transportation Minister of Ontario has previously stated that proposed changes to Ontario’s road safety laws would align drug and alcohol impaired driving offences across the province. This new legislation would also increase penalties for those who refuse to provide a sample or fail a roadside test.